Scott Borchetta – whose record label, Big Machine, names Steven Tyler, Tim McGraw and Taylor Swift among its artists – discusses discovering talent, where the music industry is headed, and how he persuaded a young T Swift to sign with him over a major record label. Businessman Scott Borchetta founded Big Machine Records in 2005 with just 13 employees. The first artist to sign with Scott and Big Machine? Then 15-year-old singer-songwriter Taylor Swift. Since then, the label has gone on to sign artists that range from Tim McGraw and the Rascal Flatts to rock legend Steven Tyler. Scott Borchetta discusses the transforming record industry, and how digital streaming has forever changed the nature of distribution. He reflects on these evolutions through the lens of his own company, Big Machine Records, as well as an avid music fan. He emphasizes the differences in fan bases across genres, and the influence that has on his approach as an executive. Scott Borchetta also reflects on his own history as a musician, and how that drew him into the business side of the industry. He doesn’t scout talent based on scientific evidence or data, but rather by searching out that inexplicable “it” factor, and then maximizing that potential within the artists he signs. “I’ve been around this my entire life, so when you see that special thing it’s like, okay, you see the potential. And my job really at the end of the day is trying to help people achieve their full potential.” – Scott Borchetta on recognizing the star power of Taylor Swift before signing her. “I want to make sure we stay in lanes that we feel that we have an expertise. You know, I think our expertise is country and rock, and we do some pop. Obviously Taylor [Swift] has crossed over.We’ve done some other things in the pop genre. We have Laura Marano who came off of The Disney Channel. But we try to, first off it has to be someone we really love. And it’s not really scientific or research based, it’s like, this feels like it has great potential.” – Scott Borchetta on the type of artists he will sign to his company Big Machine Records. “You know if you really believe this and you really love it, do it because you love it. And you have to have that, that central belief in yourself. 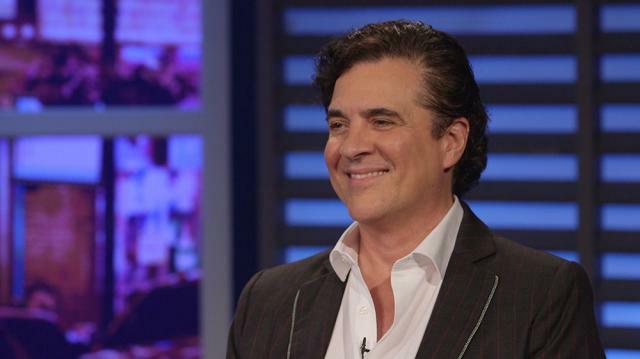 You’re gonna hear ‘no’ more than you’re ever gonna hear ‘yes,’ so you just gotta keep going.” – Scott Borchetta on the advice he gives toAmerican Idol losers. “I played bass and guitar, and I originally came to Nashville as a musician. So I’d work for my dad in the mailroom and played in bands at night, and ultimately figured out that I was supposed to be on the other side. Because every time I’d put a pound of effort in during the day I got a five-pound return and then I gave it back every night they were trying to do music. So it’s like ‘wait a minute. What happens if I put all of my time and attention and effort into the business side?’ And obviously, you know finally it’s like ‘let’s run towards this. This is what you’re supposed to do.’” – Scott Borchetta on transitioning from a musician into a label executive. “Eleven years ago there was not a real powerful, independent record label in Nashville at that time. And you could see things were changing. You could see the digital horizon. And, I didn’t think the major labels were moving quickly enough into a lot of the places they needed to move. So yeah, I saw a big opening.” – Scott Borchetta on Big Machine Records filling a niche in the Nashville record label industry. “Two very different industries. You know, pop culture is pop culture, and it eats itself, and country we really do build careers. And so you don’t have, a lot of times just that immediate pop but you build up to just a great crescendo and you can stay there for a long while.” – Scott Borchetta on the differences between the careers for artists that focus on pop music vs. those that focus on country. “We own the flyover states. You know, we’re not about New York and LA, we’re about everywhere in between. And it’s really a very American music.” – Scott Borchetta on why country music has such longstanding success. “When we get it right from an artist’s perspective and a label perspective, it’s part of your life for the rest of your life. The music that Taylor [Swift] has made will be a part of her fans’ lives for the rest of their lives. You know, if you are a Steven Tyler fan and it started in the 70s or 80s, that’s for the rest of your life.And so when you know you can be part of creating something that moves so many people that’s a, that’s a pretty weighty thing to be part of.” – Scott Borchetta on why he loves being a part of the music industry.